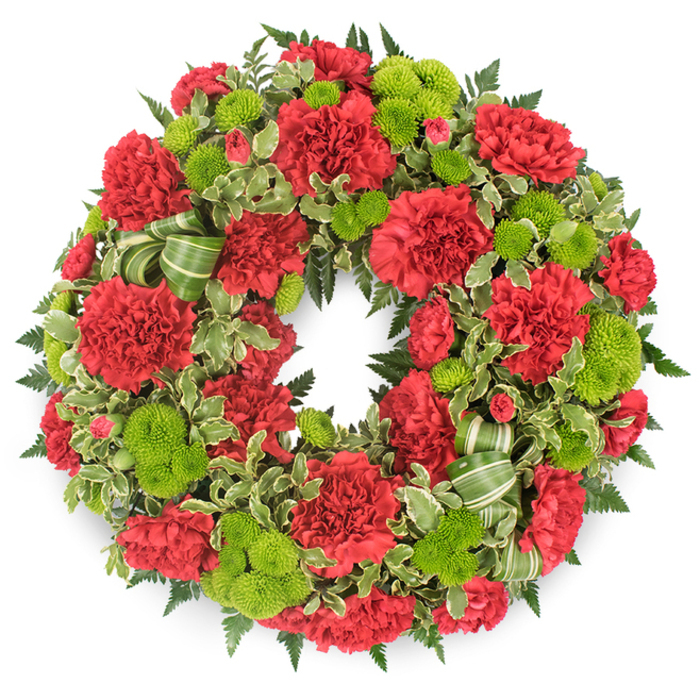 Exquisitely crafted wreath which is a combination of red carnations, mini green chrysanthemums and greenery. It is a wonderful way to express how much you've appreciated a loved one and how thankful you are for all the precious memories. Beautiful arrangement, was very pleased with the timing of the delivery. 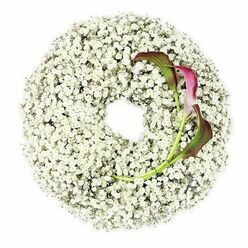 Beautiful wreath made of freshly picked flowers. They did absolutely perfect job arranging the funeral flowers. 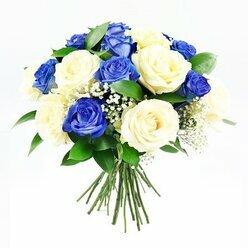 Thank you Handy Flowers for your professional help in this delicate moment. My family is very grateful for the lovely flowers. 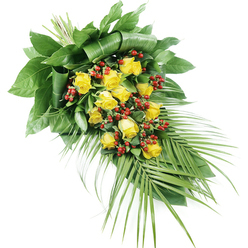 The flowers were delivered in good condition, fresh and beautiful. Kind attitude, fair price and prompt delivery. Good job team. Thanks a lot! 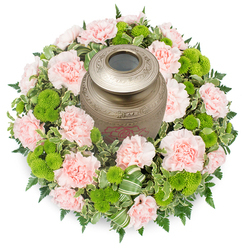 After seeing lots of funeral arrangements online, I decided to order from Handy Flowers as their tributes were very beautiful and the prices were fair. Don't regret it at all! I was very pleased with what I received. 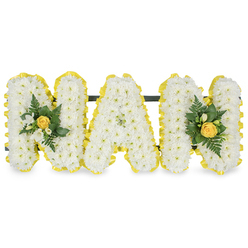 I needed to order a wreath for a friend's funeral and to be honest it was really hard for me to choose. 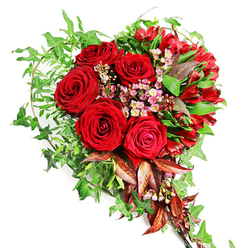 I was lucky to find out about this online flower shop. Great variety and lots of wonderful arrangements!